We covered the distance of 4 km. along the built and well-kept by Marana inhabitants road. It runs through the forest, planted by Marana first patients under the direction of Fr. Dursap SJ and Father Beyzym, the pioneer of the place. We bowed to St. Joseph, the patron of the place since 1892 and then we approached the territory of the century old Marana, where Father Jan Beyzym, Polish Jesuit, beatified by the Servant of God Pope John Paul II, took care of his “black birds” (the way he called his sufferers). The chapel, where we can admire Father Beyzym’s carvings, the image of the Black Madonna from Czestochowa in the wooden frame, beautifully carved by Father Beyzym, the tabernacle and inscription: “Come unto me all ye…”… One has the feeling as if they are saying: “Nothing is too good for the Good of God!” Two main buildings: one for men and the other, with a patio, “filled with the fragrance of the blooming flowers”, for women are strong, solid and functional remains of Father Beyzym’s efforts. 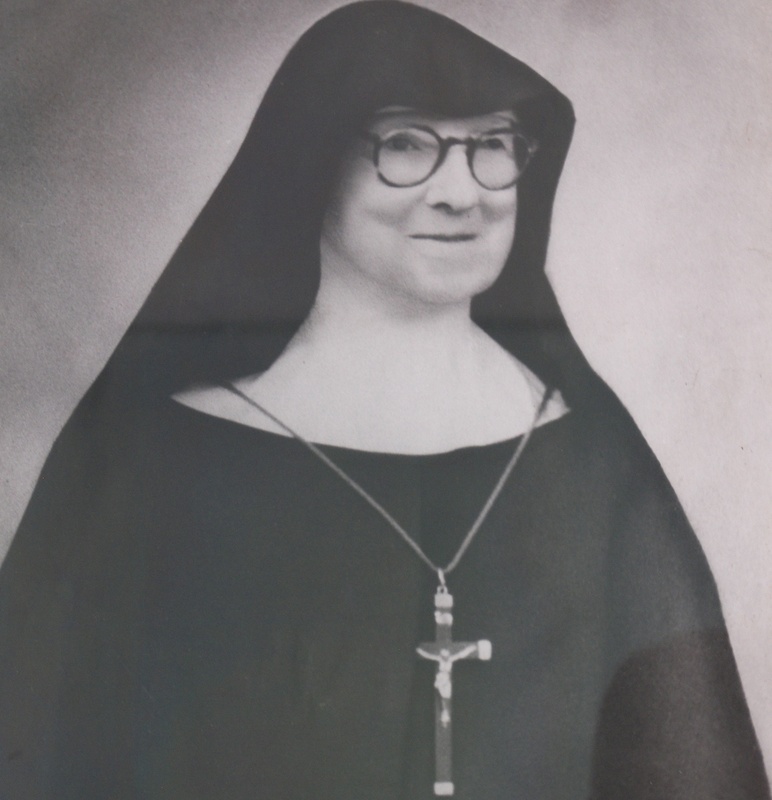 In 1910, responding to the explicit Father’s request, s. Anne-Marie Clerget of the Visitation (Clerget is a family name) from the Congregation of St. Józef of Cluny, volunteered to arrive and serve to the poorest of the poor. For 57 years she served there as a missioner, never returning to Burgundy (even for vacation). She rests in peace on Marana cemetery together with s. Irénée Raso­amihanta, the first Malagasy nurse, who also volunteered to look after the lepers. 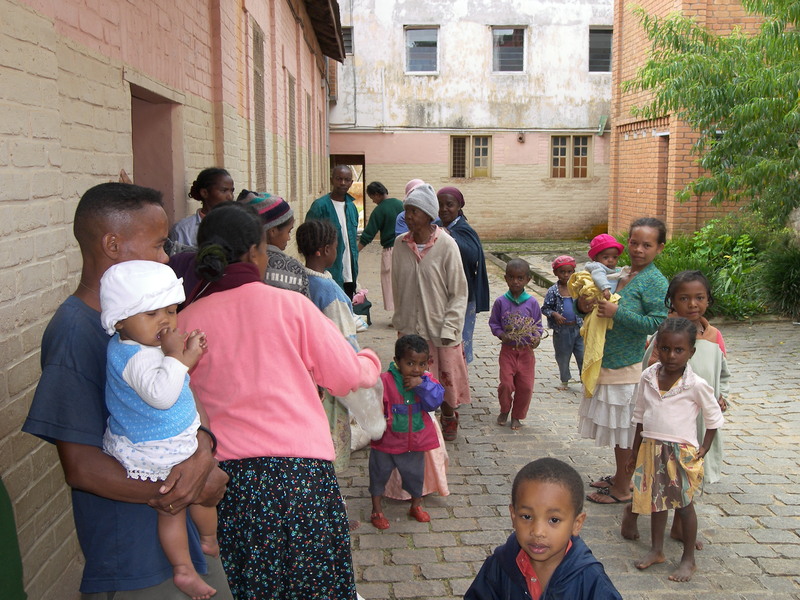 Leprosarium in Marana, in the course of time, developed from a small health care centre¹ into a well-organized village, one Big Family, eradiating life. Every knocking at our door patient is received and examined. The patient, if necessary, can be directed to other health centers or, in the case of emergency, the first aid is provided, analysis and X-ray are done. After a couple of days of treatment the patient is discharged. 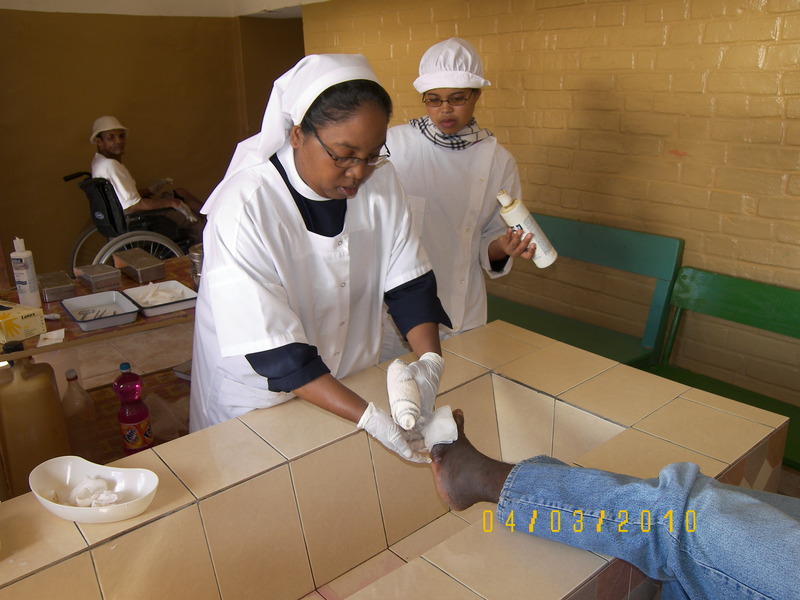 If the patient contracted the leprosy, he or she is bathed, dressed, fed, gets a bed and free treatment as well as his or her family members (if necessary), even if they have not contaminated the disease. The patient becomes a member of our Big Family, participates in its activities (according to his physical ability). If the patient is able, he washes his clothes and cooks his meals. Physical activities are the psychological complement to the medical treatment. They prevent the possibility of submission to illness and thus the patient also feels needed. 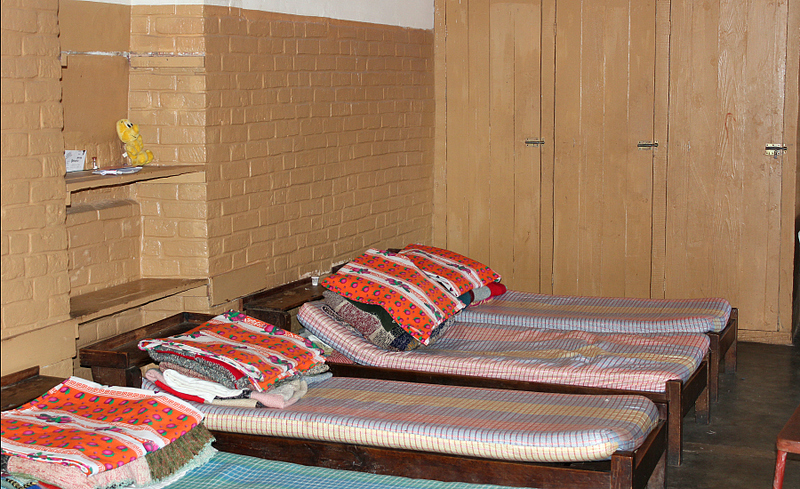 The regular medical care is provided by two nurses and four or five medical assistants who are on 24-hour duty. Surgeons, anesthesiologists and a dentist come on request, if there is a necessity of a surgery (in our operating room or dental office) or for consultation. PCT (multidrug chemotherapy), a modern treatment method provided by WHO, makes the healing of the disease possible.² And yes, our patients come and go. But leprosy is usually accompanied by other diseases, which need to be treated concurrently to make the complete recovery. 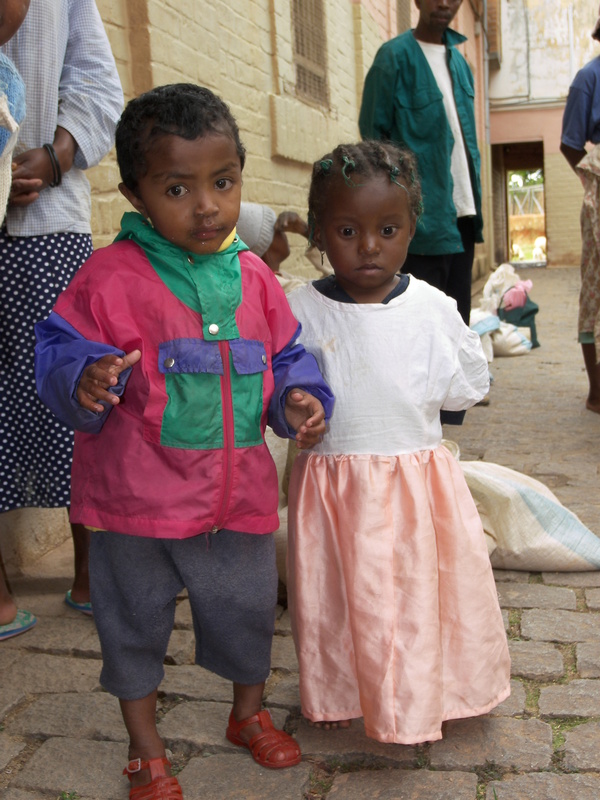 They are: TB, parasites, skin diseases, nutritional deficiencies, malaria... 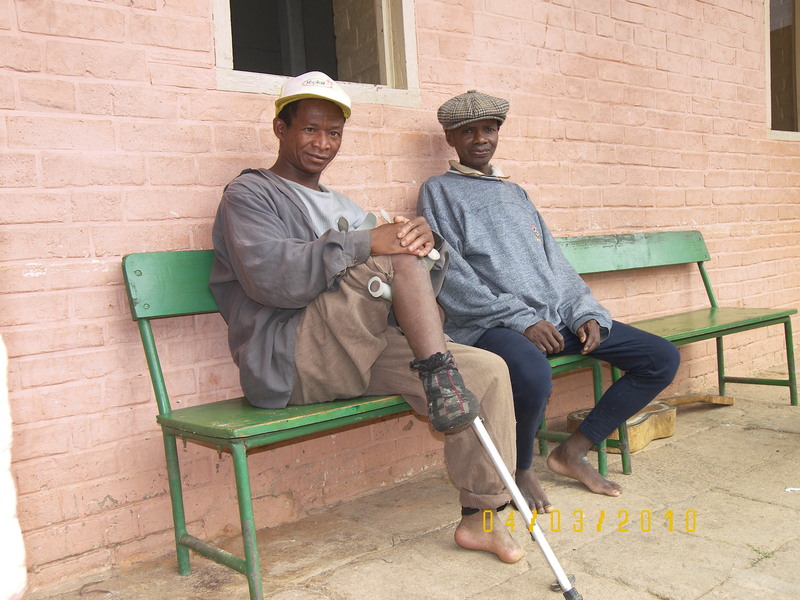 Recovered patients return to treat the “feet wounds”, the leprosy aftereffect, caused by the long walks in the bush. Sometimes such wounds need a lot of time to heal. Healthy, varied, balanced diet is an integral part of the treatment process. Work, even the smallest, done in and for the Big Family is also a part of it. Preparation for holidays, singing and recreation complement the treatment process effectively. Father Beyzym wrote: “Everybody works in accordance with his possibilities. Singing and leisure activities are on schedule”. This routine is followed in Marana since Father’s days. The clinic for people from the neighborhood is open two times a week till midday. 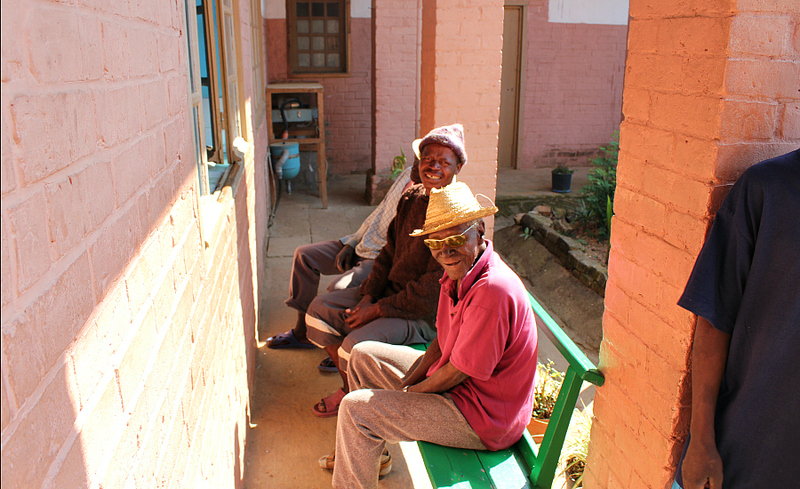 Visits to the most leprosy insecure areas in the bush are done once a month. In Marana leprosarium there is a kindergarten and preparatory courses for ill or small children. There is also a reading and writing course for adults. Some young people learn a profession, some, before returning home, attend a primary school beyond Marana territory. Care for the natural environment, cleanliness, hygiene, rules observing, joint morning work two times a week for the village benefit, fraternal help for disabled patients, work in the dressmaking shop, in the garden, in the village, on the farm and in the shed, on the roads and in the wood, in the workshops and rice storage facility raise and educate the awareness for the forest fires problem. All mentioned activities help patients forget about the disease, get some knowledge and get ready to return home. 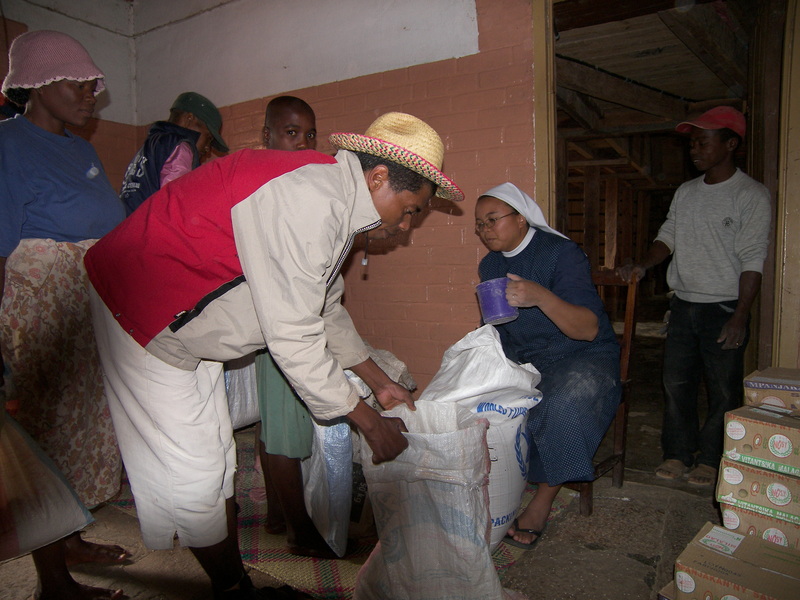 They also facilitate the return to the village community, as it is not easy to regain your place, reestablish yourself in the community after being a “leper”. With some patients, usually young, the form of the support measures, i.e. the possibility of providing them with a lump sum grant is discussed in order to facilitate the start in their new life. It could be, for example, the house construction, the purchase of a plot and its servicing, the assistance with the farm equipment purchase, the seeds purchase, the acquisition of oxen for the rice field, of small livestock, sewing machines, woodworking tools… Some of the recovered express the will to stay with us and help for some time. A good example is Harivao, Charles and their four children. He is a driver and she is a kindergarten teacher. 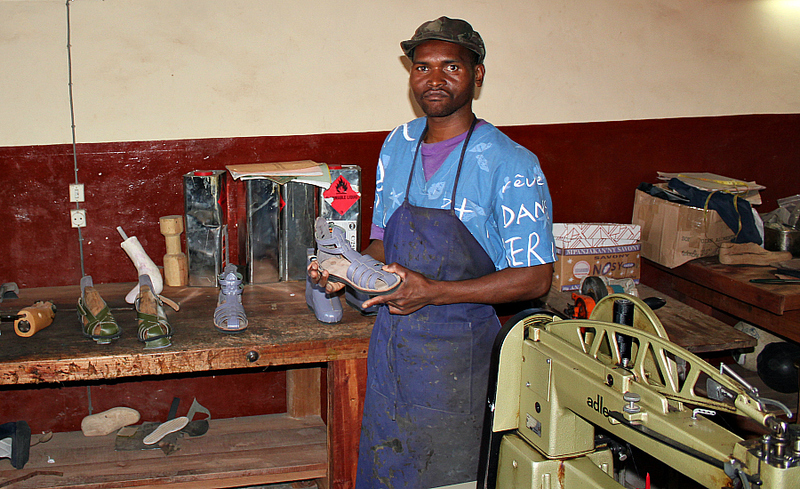 Roger learned a profession of a shoe-maker and makes sandals for those with distorted feet. 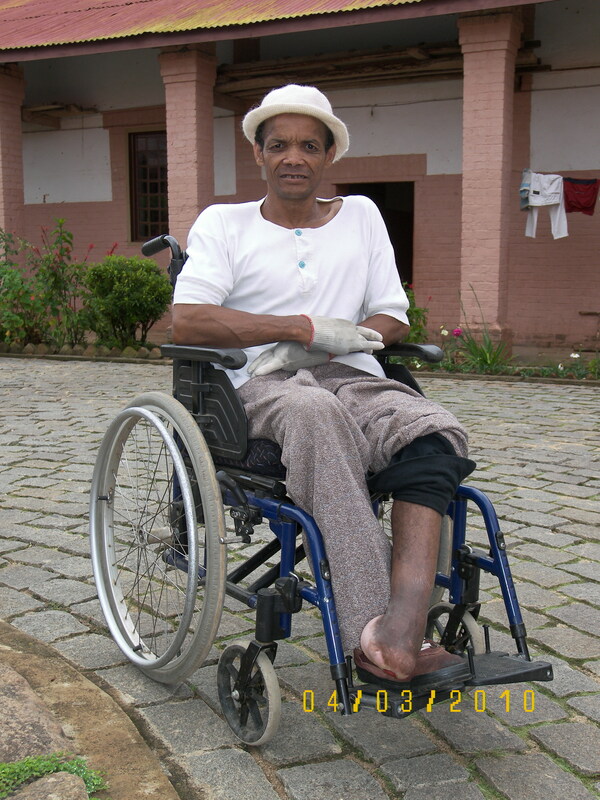 We receive all the suffering from leprosy whatever their beliefs can be, but we invite them and introduce them to the prayer. 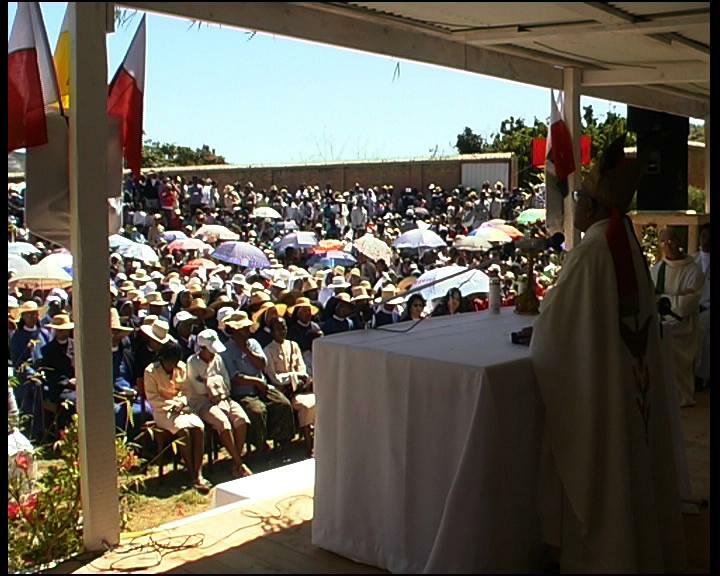 Malagasy people believe in God, the Creator of Heaven and Earth, Zanahary. They pray on the occasion of the childbirth, illness, holidays, travelling, death… This is also true for Marana. God is omnipresent and prayer is alive here. The morning bells call the faithful to the chapel for the prayer, after which our chaplain celebrates the Eucharist. The Angelus is called in the morning, at midday and in the evening. The catechesis is taught by our chaplain, sisters and catechist, depending on the group and needs. We baptize children and adults according to the age, give First Communion, confirm, bless marriages and administer the sacrament of the sick. The subject of our special concern is Liturgy and our patients are thoroughly prepared for it. 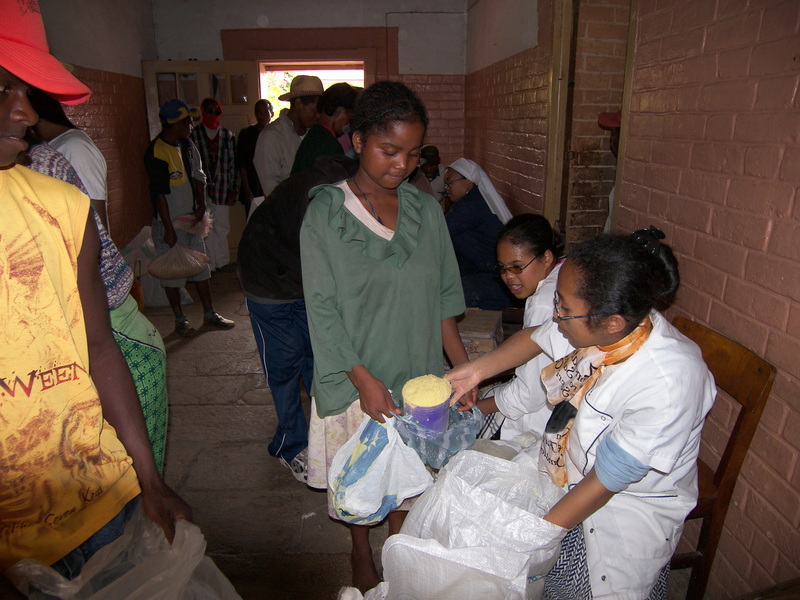 The Rosary in the intention of the Church, our world, patients and benefactors is prayed every day at 4 p.m.
Marana is the house of the poorest of the poor, where each and every feels rich, supported by the prayer, enriched by sufferings and dedication. Happiness and prayer dwell among the patients and everybody feels at peace. We celebrated the 100th anniversary of first patients introduction to the leprosarium being built by Father Beyzym SJ with great love during 9 long years. 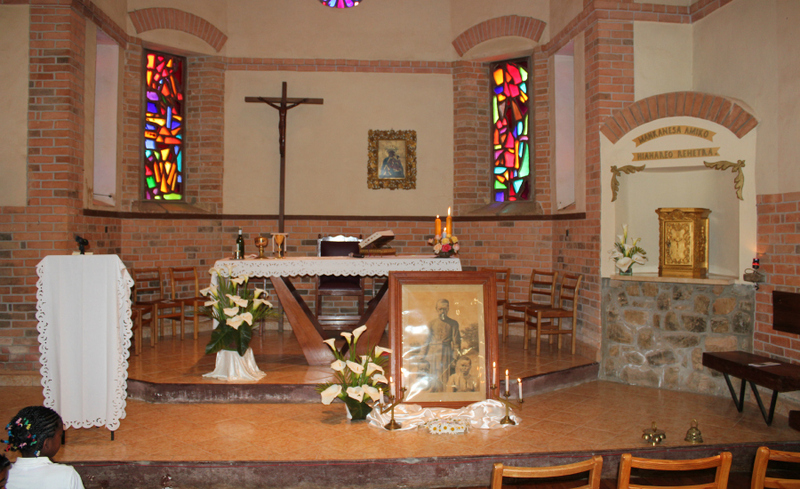 In this heavenly place, among the mountains and forests of Marana, we will also celebrate the 100th anniversary of Congregation of St. Józef of Cluny Sisters, daughters of Bl. Anne-Marie Javouhey, service in the Marana hospital. 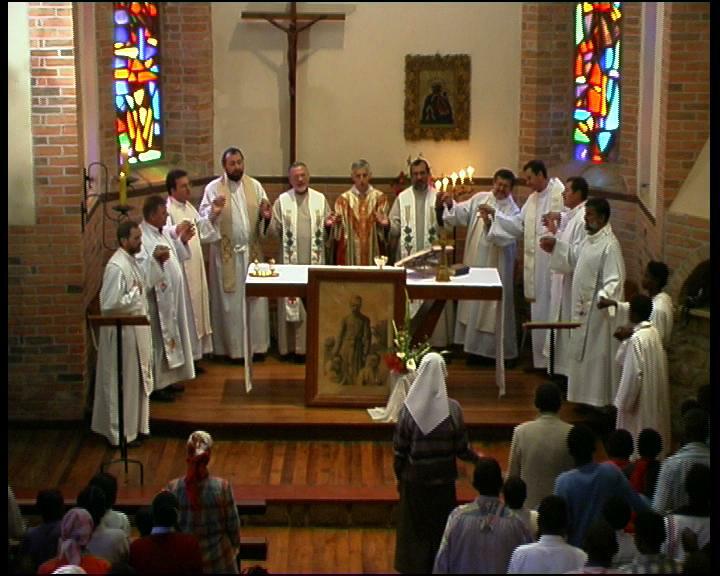 2012 is the 100th anniversary of Bl. Father Beyzym’s departure to the Father’s House. And here are his words as a closing: “I am not sure if I would ever be able to thank Our Blessed Virgin Mary for Her Protection. Saying nothing about thousands of Her other Graces, but for this one, for using me to serve the lepers”.